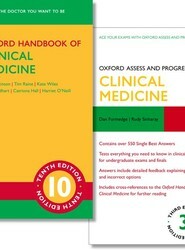 This great-value pack offers students a definitive resource on clinical medicine. 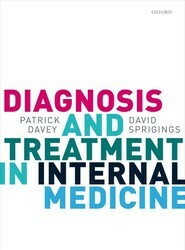 Introducing an innovative, systematic approach to understanding differential diagnosis, Frameworks for Internal Medicine helps students and other learners to think like clinicians and master the methodology behind diagnosing the most commonly encountered conditions in internal medicine. This highly visual resource uses a case-based, Q&A-style format to build “frameworks” that guide learners through each step in the differential diagnosis process. Quickly accessible and available online for fast review, these unique frameworks not only equip students for success during the internal medicine clerkship but also help ensure more confident differential diagnoses in clinical settings. 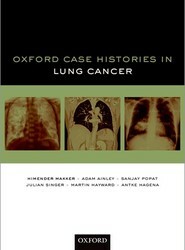 Oxford Case Histories in Lung Cancer provides a multi-disciplinary approach to the management of lung cancer, with a comprehensive collection of real-life clinical cases demonstrating the application of evidence-based recommended practice. It is the ideal day-to-day guide for all those who work with lung cancer patients. 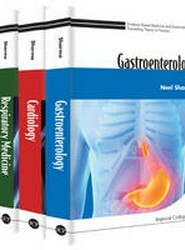 Diagnosis and Treatment in Internal Medicine equips trainee doctors with the essential skills and core knowledge to establish a diagnosis reliably and quickly, before outlining the management of the clinical condition diagnosed. Essential reading for beginning and experienced clinicians alike, Sapira's Art & Science of Bedside Diagnosis, Fifth Edition, discusses the patient interview and the physical examination in an engaging, storytelling style. 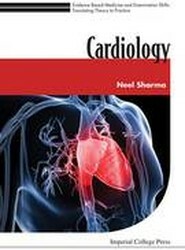 Tried and true methods are described in step-by-step detail, and include clinical pearls, vignettes, practical clinical experiences, personal history, explanations of the physiologic significance of findings, and extensive discussions of evidence-based medicine. 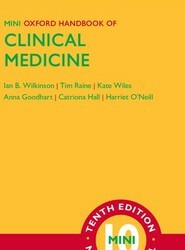 It’s a useful guide for learning and reinforcing effective bedside diagnosis techniques at all levels and stages of clinical practice. 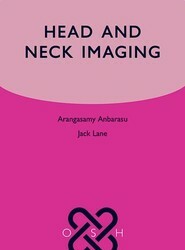 Using the succinct and practical Oxford Specialist Handbook format, Head and Neck Imaging is an introduction to the theory and practice of head and neck radiology, as well as a guide to choosing and performing imaging investigations and minimally invasive procedures. In spite of years of tuition and examination, newly qualified doctors are often left inadequately prepared for real-world clinical practice. The major concern is that 'book knowledge' gleaned at medical school does not always translate to safe and effective practical knowhow.